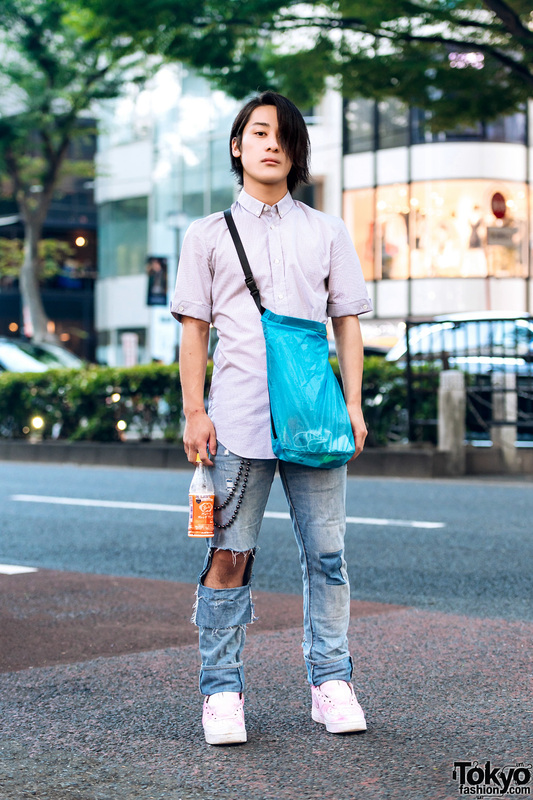 Harajuku guy dressed in a graphic print shirt, turtleneck sweatshirt, distressed jeans, sneakers and a tote bag. 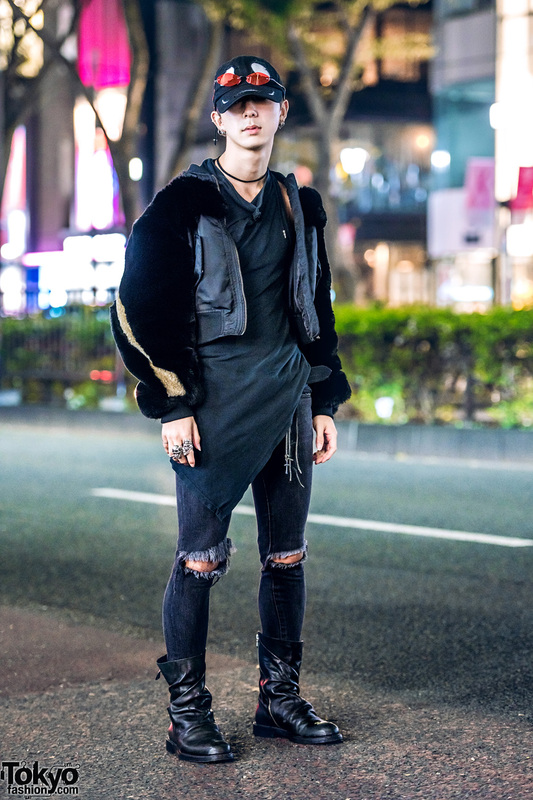 Fashion college student dressed in an all black streetwear style with fur jacket, asymmetric hem shirt, skinny jeans and leather boots. 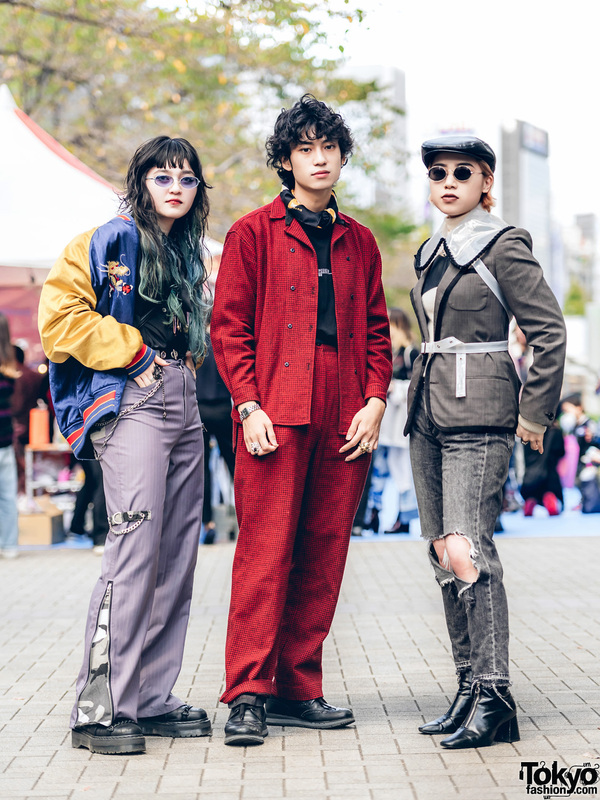 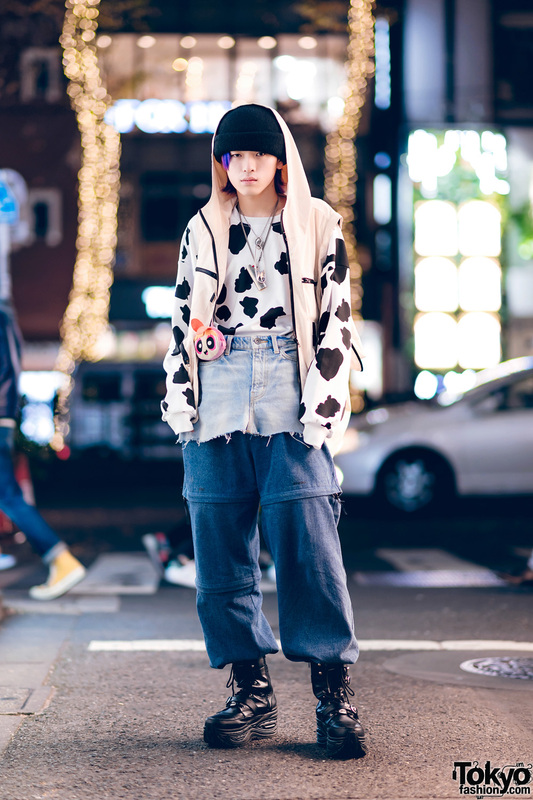 Japanese student wearing layered denim and cow print sweatshirt in Harajuku. 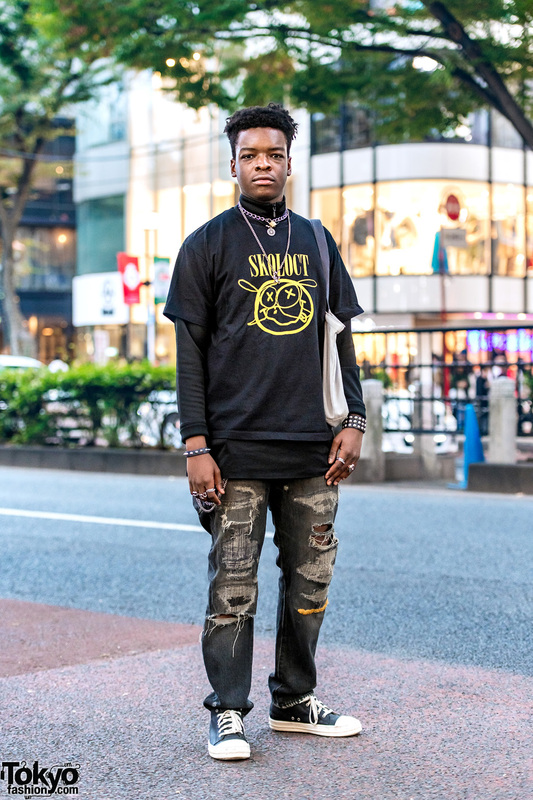 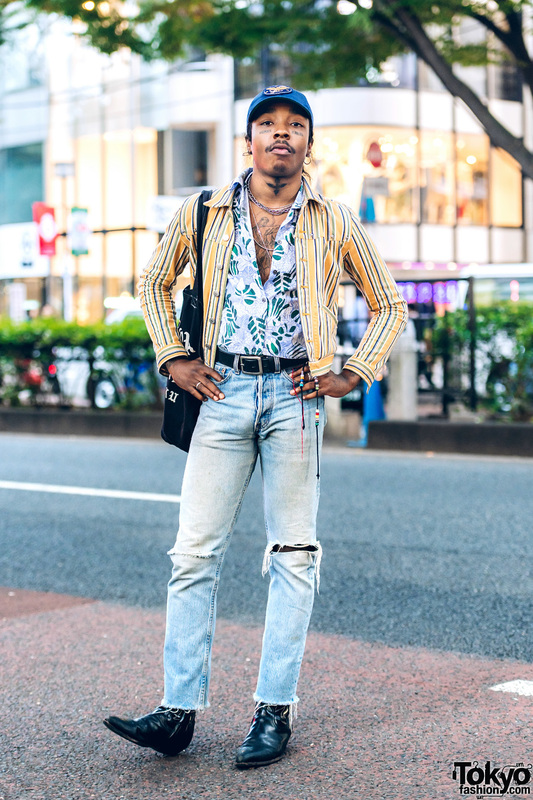 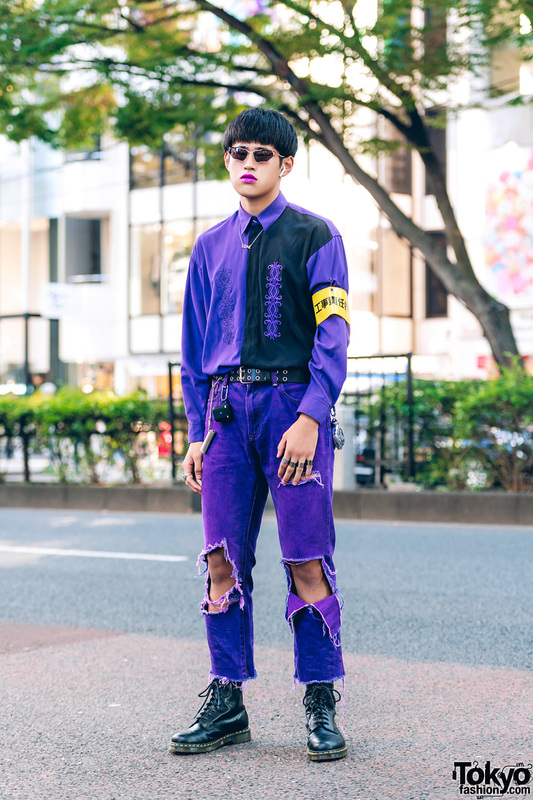 Harajuku guy wearing a button-down top, ripped jeans, and white sneakers.